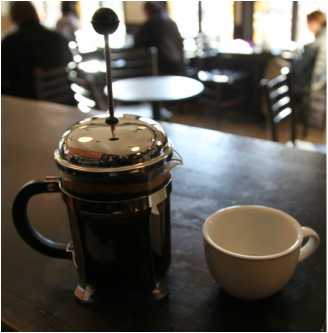 If you love a dense and heavy cup of coffee that has a syrupy mouthfeel then french press is for you. This saturation brew technique is one of the best methods you can find for flavor extraction. But be careful, if you leave the coffee in the press it will continue to brew long after your have pushed the plunger to the bottom. So make sure that you get the coffee out of the pot after you've pushed the grinds to the bottom. 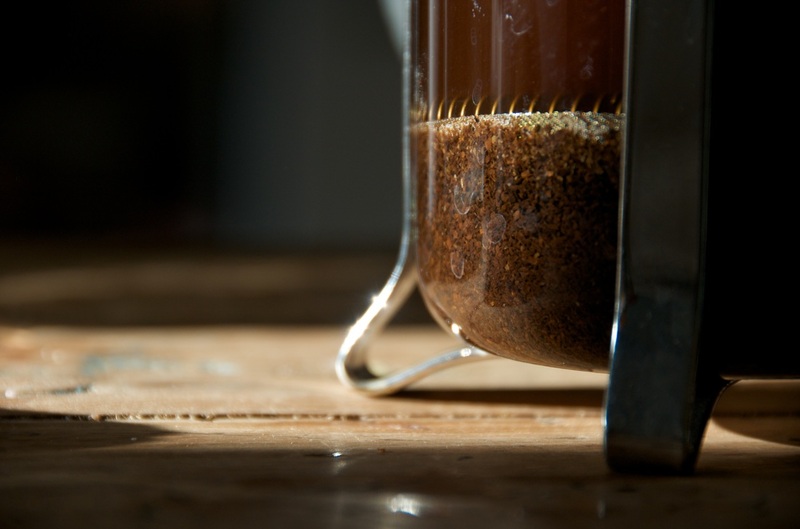 Here's how we recommend you brew with a french press. When grinding for a french press you should aim for a grind that is coarse enough to require some pressure when depressing the filter screen without being so fine that the screen is hard to move. 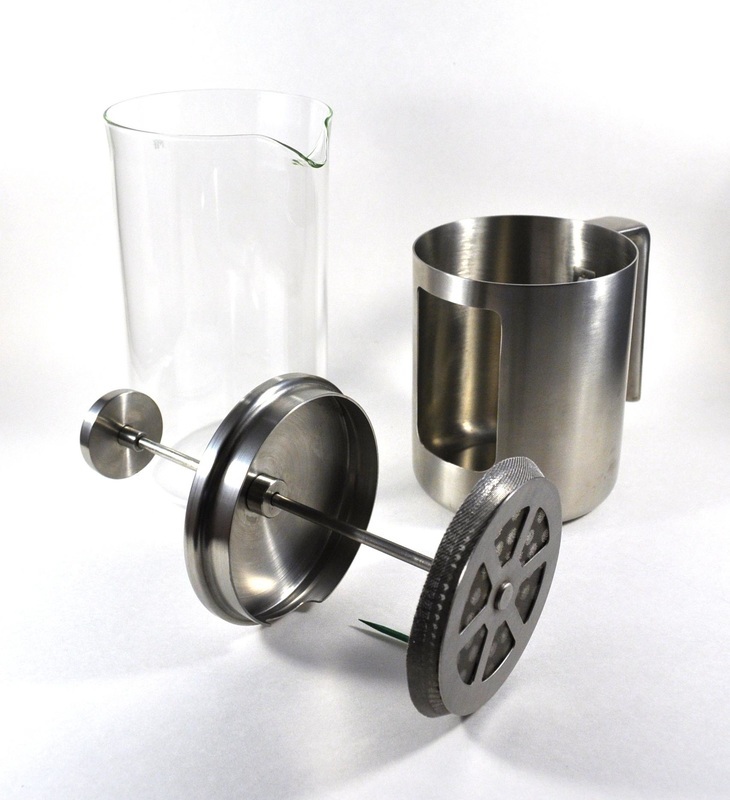 As is the case with all grinding, a burr grinder makes finding the right size much easier. We find that a 1:10 coffee to water ratio works best. For this guide we would use 50g of coffee and 500g of water. While grinding your coffee, boil more than 500g of water. This will allow you to use the excess to preheat the french press. Once the water has come to a boil, pour water into the press pot. Be sure to keep at least 500g of water in the kettle and return it to the burner. After returning the water to a boil, turn off the heat and start your timer. While waiting for thirty seconds to pass, dump out the water in the press pot and pour the coffee grinds into the press pot. Start your timer and pour water into the press pot until all of the grounds are saturated. Stop the pour (roughly 200g) and allow the coffee to bloom for 1 minute. While the coffee is blooming, return the water to the burner for 30 seconds then remove the kettle from the heat for 30 seconds. After 1 minute, stir the slurry to make sure that the coffee is fully immersed in the water. Pour more water into the press pot until you have reached a 500g pour (total). Allow the coffee to brew until the timer hits 4 minutes. At this point you should depress the filter screen and decant the contents of the french press. We like to send the coffee through a Hario V60 to take out the sediment, but some people feel this is not necessary. It's your choice.